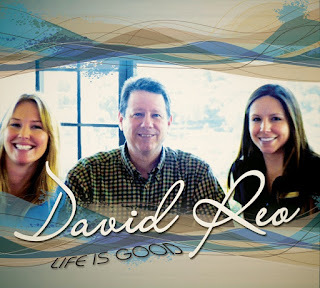 After growing up in Rhode Island, David Reo has made the entertainment industry his life’s work, having attended the venerable Berklee College of Music in Boston and then moving on to Tinseltown to make a go of the television genre. While working on a few standout series (remember Happy Days?) he started writing and recording his own music in 1984. Since then he has produced other acts as well as playing a couple thousand shows with The Preachers Blues Band around the Los Angeles basin. David’s fourth album, Life is Good, is a collection of a dozen blues-based and country songs, eight of which are originals. Besides writing these songs, Reo provided the vocals and guitar for the album. A score of other musicians contributed to this project, including Evan Grosswirth on bass, Pete Gallagher on the skins, Jim Calire on keyboards and sax, and Bill Flores on the pedal steel. Jeff Cowan was the engineer and producer for the album, which was cut in Ventura. The album is divided into two parts: the first act is a set of original blues tunes that were written by Reo, and the second part is a collection of country songs that includes a few cool covers. The blues portion of the show kicks off with “Shell Shocked” a big-sounding song with in your face horns and slick guitar fills. This is our introduction to David’s pleasant tenor voice and it is readily apparent that he has a good feel for the rhythm and blues he is slinging. “Uzbekastan” is really unexpected, with a Benny Goodman feel that is provided by righteous clarinet from Geoff Nudell and Gene Krupa-esque tom pounding from Gallagher. This song does not go whole-hog big band, as the guitar provides most of the melodies, but it still swings like mad and the lyrics are funny and fit well with the musical theme. This is followed up with “You Won’t Matter,” a more conventional slow-burning blues song with a hot horn section and fantastic piano and organ work throughout. Reo finishes up his blues set with a “Too Far from Home,” which has a laid-back California-themed feel and lyrics. Michelle Corbin sings lovely harmonies on this one and Nic Mancini brings his vibraphone into play, which is something that does not happen much on blues albums that come across my desk. There is a definite break when the country action starts with Led Zeppelin’s “Hot Dog” from their 1979 album, In Through the Out Door. The original is an Elvis-infused blues song with country elements, but David and his crew takes it all the way to Nashville with a bit of Albert Lee chicken pickin’ guitar, which is an improvement over what was kind of a strange song to start with. Other country covers include Buddy Holly’s “Love’s Made a Fool of You,” which was made popular by The Bobby Fuller Four, and Lefty Frizzell’s “That’s the Way Love Goes” which was taken to number one by Merle Haggard back in 1984. A standout track from the country side of things is Reo’s take on Juice Newton’s “River Of Love,” a lovely song with fine vocal harmonies and prominent fiddle and cello parts. To close out the set, Reo takes a completely different direction with “Jimi Jam,” which is a heavy dose of the psychedelic blues rock that was pioneered by Hendrix back in the late 1960s. It is well set up as Grosswirth and Gallagher play a nifty backline jam that allows Reo and Guy Martin to cut loose a little. 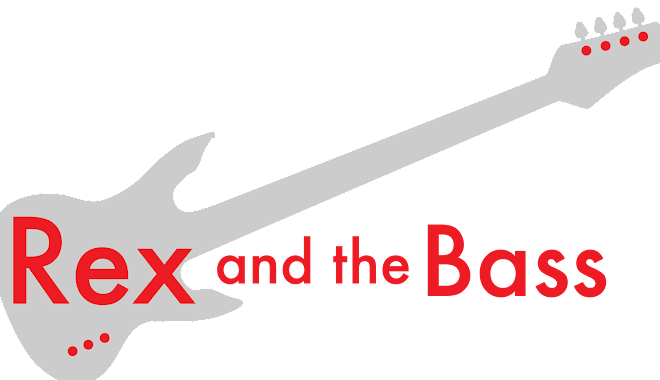 The rest of the album is all about the songs so David had to put his guitar on the back burner, and it is nice that he finishes up with a cut that illustrates what a masterful axeman he is. 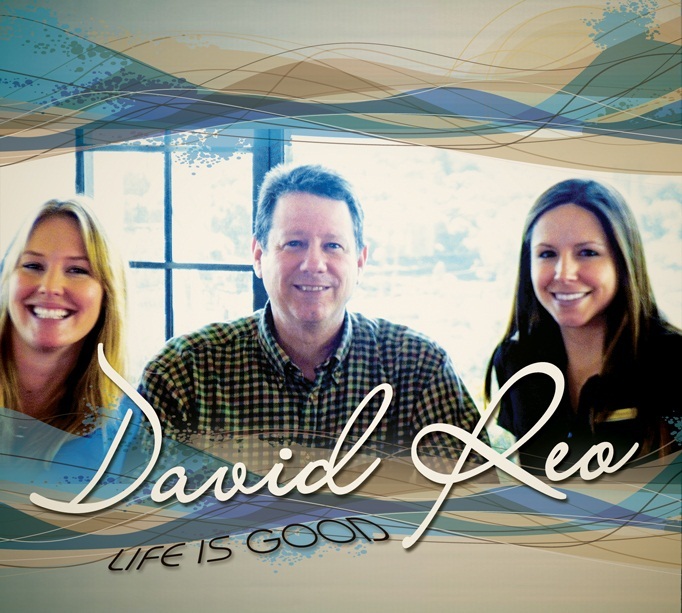 Life is Good is a solid effort from David Reo, and if you like your blues served up country style this CD will be right up your alley. If you want to hear more from David, he is playing regularly with The Preachers Blues Band in clubs around L.A., and he also just released an album of country classics which should be a real gas.